In Broadening Jewish History Todd Endelman seeks to expand the horizons of modern Jewish historiography by focusing on ‘ordinary’ rather than exceptional Jews, arguing that what ordinary people did or felt can do more to deepen our understanding of Jewish history than what a few exceptional individuals thought and wrote. He also makes a strong case for comparative history, showing convincingly that only a comparison across national borders can identify the Germanness of German Jewish history or the Englishness of English Jewish history, and thereby reveal what is unique about each. 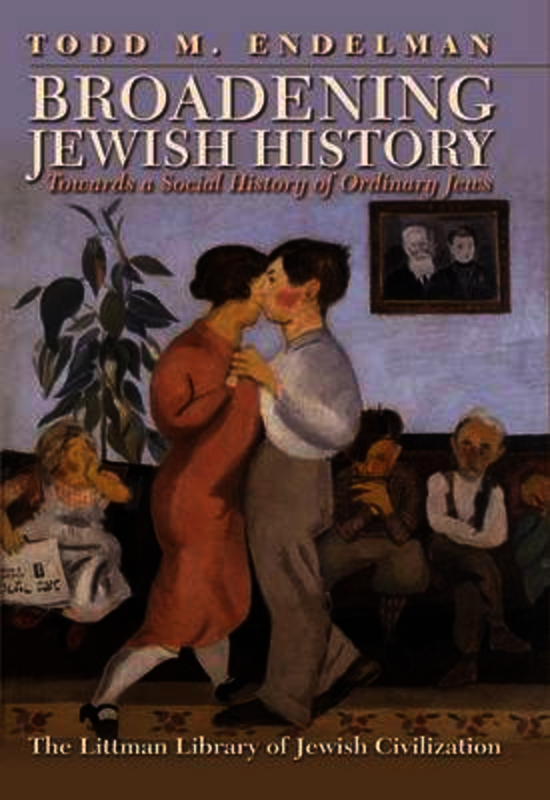 This innovative collection of historiographical essays and case studies redefines the area under consideration and deftly restates the need for Jewish social history to counterbalance the current focus on cultural studies. The essays offer an important examination of the major trends in the writing of modern Jewish history and the assumptions that have guided historians in their narration of the Jewish past. Professor Endelman shows in particular how the two watershed events of twentieth-century Jewish history—the Holocaust and the establishment of the State of Israel—influenced Jewish historiography for decades thereafter. He also demonstrates how progressive integration into the scholarly framework of American academia has shaped both the form and the content of Jewish historical research. Each of the case studies focuses on a largely unknown figure whose career illustrates the often tortuous paths of integration and acceptance that Jews faced. Some achieved fleeting fame but many of the people who populate the volume remain altogether unknown, their histories recoverable only as statistics. In its wide-ranging analysis of trends in recent historical writing and its treatment of key themes and issues, this book is essential reading for professional historians, students, and indeed all those with an interest in Jewish history. Todd M. Endelman is the William Haber Professor of Modern Jewish History at the University of Michigan.